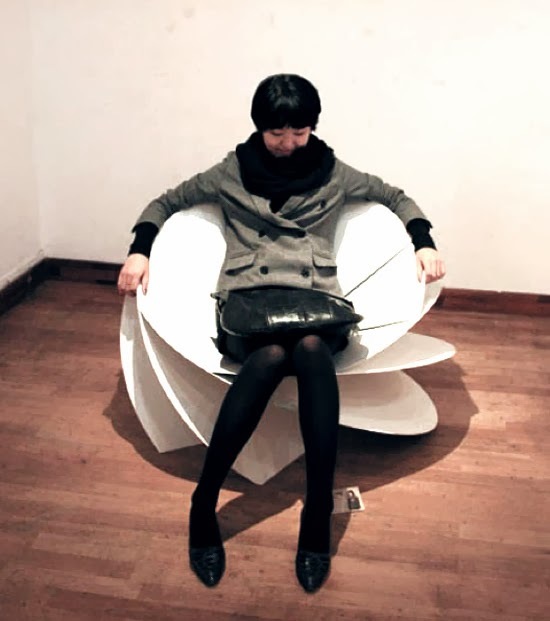 Chair created by origami ideas- Eerang Park of Korea has created this creative and innovative design in chair industry. 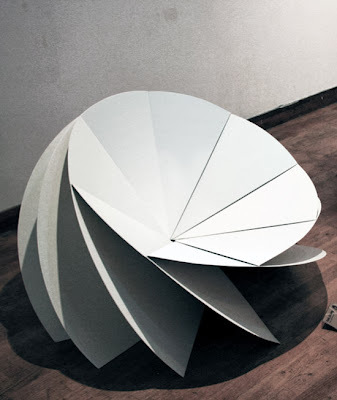 He is in pursuit of perfect and best design of chair. 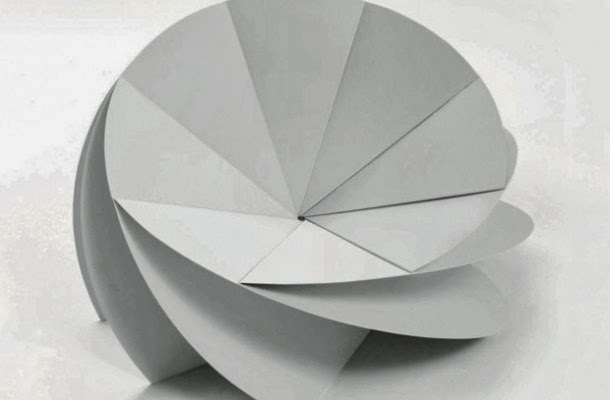 He come up with the idea of making simple yet elegant design using eight folded steel plates which is rotated at 35 degrees angle. The result is a light and sturdy chair. "If a freestanding Roman arch can work, I guess this structure can be sound as well" he said.